Yes funny. 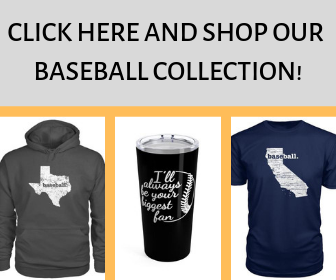 I would add you could make the shortstop the other coach’s kid, not necessarily the best, and the catcher the bravest kid along with being the toughest. All joking aside, youth coaches must begin to determine the best defensive baseball positions for players, especially as they reach the little league level of baseball. 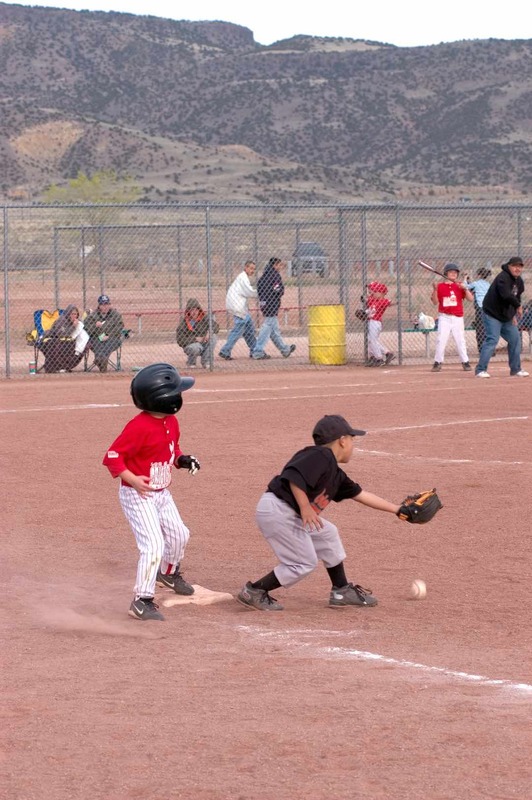 Youth baseball coaches must learn each player’s defensive strengths and weaknesses for determining the best position for them in a game, near and long-term. Having players at the wrong spots can discourage some kids to the point they no longer want to play baseball. Something as little as having a player who is not ready for an in field position can be a detriment to their confidence. On the other hand, putting a player in an outfield position too often can cause them to get bored with the little action that may come their way. One of the first things to consider is a player’s size and athleticism. At the same, coaches may want to analyze the size of their parents because that may help determine a player’s future positioning. When it is apparent a player will have a large, robust body frame, coaches may encourage and teach them the corner positions of baseball like 1st and 3rd base, along with the catching position. Players should have a definite interest in catching before trying them there though, as it takes a specific type of mentality to put the gear on and sit behind the batter. Following are defensive baseball tips that coaches should use to help players find a suitable position which matches their baseball skills. Of course, learning many positions at a young age is never a bad thing, as many kids play different positions in future years, as the competition level increases. 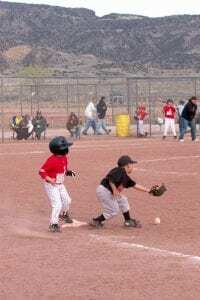 As players age and find out the baseball position that best suits them, coaches can work on defensive strategy more to help them win games, and especially the close games. Pitcher – It is common to look for the kids with the strongest arms to pitch. I would suggest having all young players work on pitching. At the young ages, especially in travel baseball, you cannot have enough pitchers, and you certainly need to have a couple of pitchers you can count on to throw strikes, no matter how hard they throw the baseball. Additionally, teaching pitching to all players helps with their throwing mechanics, accuracy and arm development for whatever future position they may play. I always encourage parents to have their kids practice pitching at home whether they pitch in games or not because it is generally a great way to work on developing their arm in a fun manner. One thing that coaches should always stress with pitchers is the idea that they become fielders the minute they release the ball. Failing to think and prepare for the ball off the bat can lead to injury as the pitcher is very close to the batter after delivery. 1st Base – A big target helps, of course, along with excellent flexibility. First base is a good position for players who have not mastered the two-hand catch approach, as first base is mainly a glove hand position. There is value in having a left-handed first baseman, when possible. Left-handed first baseman have a significant advantage with covering the hole between them and the second baseman, with holding runners on the bag, with the throw to second base to start double plays on ground balls to them and with throws to second and third base on bunt plays. 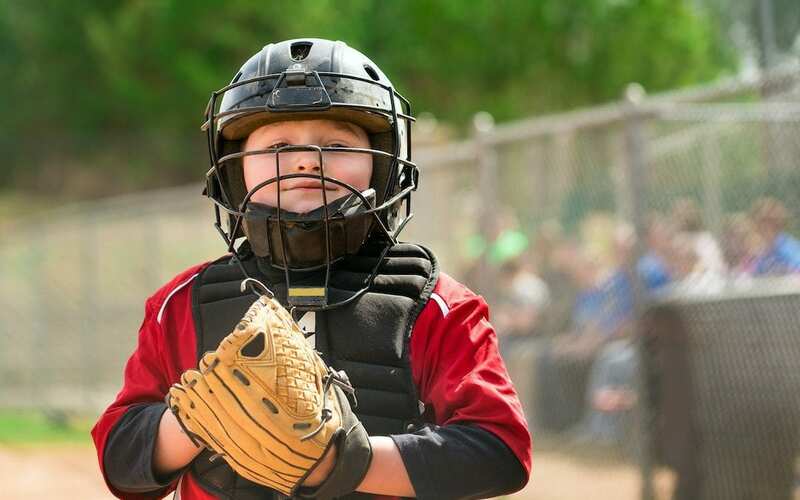 At the youngest ages of baseball, like tee ball, coach pitch, and little league, it is wise to put the kid who catches a baseball the best at first base. Little is more demoralizing than having decent throws get by the first baseman and failing to get outs when should. It could be argued that first base is the most valuable position on the field at the young ages of baseball, at least before teams have the drop third strike rule. At that time, the catching position becomes most important with pitching not far behind. Second baseman – this is a position where players can get away with having a weaker throwing arm, as long as they are quick of foot. That quickness is necessary, as they cover first and second base at times, as well as for turning double plays. Of course, proper positioning can help slower footed players at this position, so it is a spot on the field where coaches can somewhat hide a weaker armed player. Shortstops – no defensive position player needs the total package of baseball skills as the shortstop. Shortstops should be fleet of foot for range, have a strong arm for that long infield throw, and have great hands, as any slight miscue usually leads to errors. Many balls come to the shortstop position also with the majority of hitters batting on the right side of the plate. Third baseman – fearlessness is the primary attribute of the third baseman that baseball coaches should look for, as the ball gets to them quickly. Having enormous range is not necessary, but quickness is for the “hot corner.” Coaches may be able to hide a weak arm and slow-footed players here by playing the third baseman position themselves up in front of the base. It bears repeating that the braveness factor is mandatory for playing 3rd base and putting kids there who are afraid of getting hit by the ball is never a good idea. Outfielders – Players, who can catch fly balls and may have trouble with fielding ground balls, are best suited for the outfield. The strongest armed player generally plays right field, with the best and fastest outfielder in center field. Teaching communication skills between players is mandatory for the outfielders to avoid collisions and possible injuries. Teaching outfielders to back up the bases and balls to the infielders is also necessary. Helping outfielders learn where to go on every batted ball keeps them involved in the play, which helps them feel part of the game and less bored when balls do not get to the outfield very often. Catcher is the ultimate fearless position, as the willingness to be hit by balls, and block dirt balls is necessary. Finding a player who has leadership capabilities is a plus, as catchers are often the conduit between the coach and the defense. Running speed is not mandatory for this defensive position, but a strong arm certainly helps, or at least a quick release. Perhaps no position requires the training that catching does because they are involved in every play. The good news for kids that like the job is they have less competition for their spot as most kids have no interest in putting the gear on. Batter – Every player and every game. There is no reason not to bat all players on the roster in every game at the youth levels of baseball. Batting is the thing that most kids like most and not giving kids that opportunity is not right and the surest way to create coaching headaches. Parents will not take kindly to their child not getting to hit at the young ages of baseball. Of course, having quick, soft hands and good footwork are the baseball skills that must be developed and a never-ending work in progress for all players. Coaches should teach good catching fundamentals all throughout the season. Even when kids are proficient with catching a ball, they can always get faster hands and feet. Learning when to use two or one hands to snag the baseball is crucial, too. Finally, having players in the correct positions and having the knowledge of each player’s defensive capabilities, helps teams execute and win.